The first lien was filed on Strip gunman Stephen Paddock’s house in Mesquite since the Oct. 1 attack, but it wasn’t from victims or their families. It’s for an unpaid water bill. The Virgin Valley Water District on Tuesday filed a $213.73 lien against Paddock’s house, 1372 Babbling Brook Court, some 80 miles northeast of Las Vegas, because of unpaid water service. Paddock, 64, carried out the deadliest mass shooting in modern U.S. history, killing 58 people and injuring more than 500 at an outdoor music festival on the Strip. Perched in a 32nd-floor suite at nearby Mandalay Bay, he killed himself before police reached his room, Clark County coroner’s office said Thursday. The water district’s general manager, Kevin Brown, signed off on the lien, which was filed with the Clark County recorder’s office. The Mesquite-based water provider has 8,400 accounts and issues probably four to five liens per month, he said. As with other delinquent accounts, the agency could collect on the bill when the house is sold. Brown noted that even if Paddock, who bought the home in 2015, were “alive and in jail and hadn’t paid his water bill,” the district would still file a lien to ensure it gets reimbursed. In Las Vegas, it’s all too common to see abandoned houses get hit with liens for unpaid water and trash bills. Paddock’s house was empty as of last month. 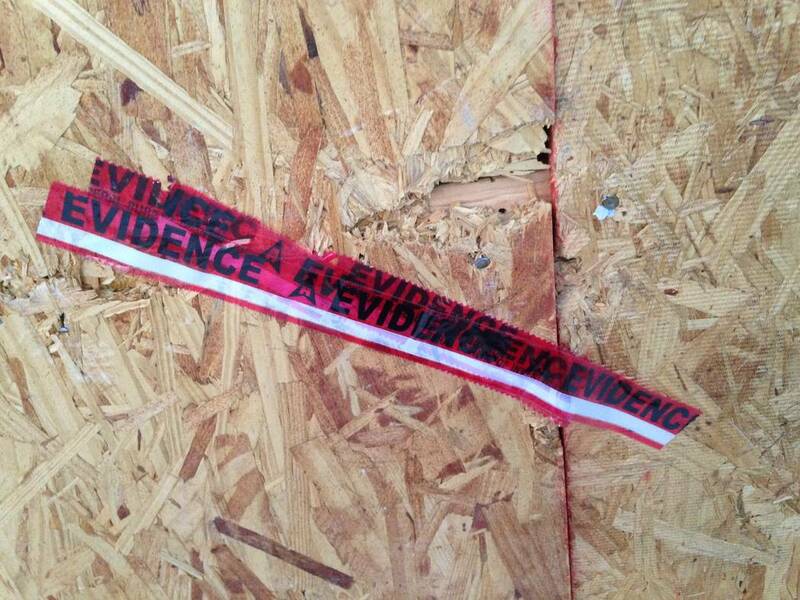 Red tape marked “Evidence” was fastened to its windows and other entry points, and the garage door was a crumpled, twisted heap in the driveway, having been replaced with plywood. 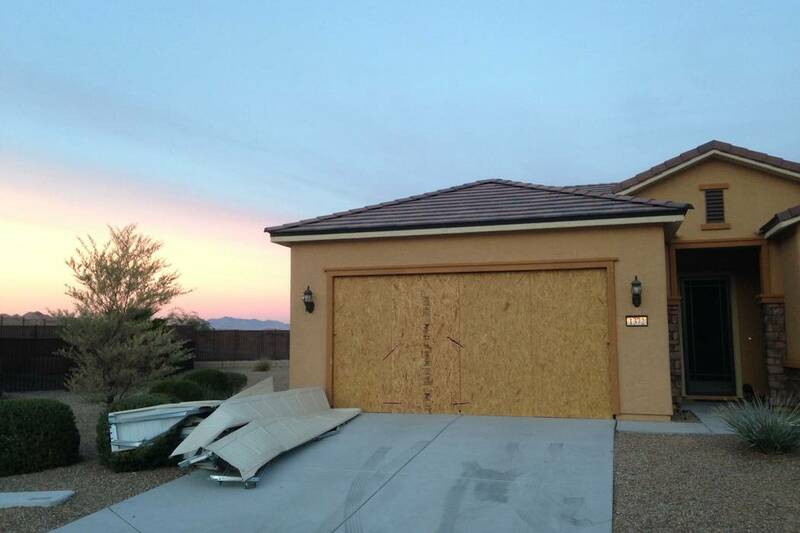 Authorities had ripped off the garage door to search the property after the massacre. Meanwhile, it’s still undecided what will happen with Paddock’s house and other assets. A judge last week gave lawyers until the end of January to come up with a plan for how Paddock’s assets could be managed. Clark County Administrator John Cahill, while unlikely to take control of Paddock’s estate, could oversee the gunman’s homes. Within a week of the shooting, lawyers for one of the victims who was killed, John Phippen, asked to freeze Paddock’s assets. Earlier this month, lawyers for another victim filed a $45 million creditor’s claim against the estate.